I have to show my son this-he’ll be so excited by it!very cool! Awesome photos Mike! Really like the the one with “seeing the sound”. That is terrific! I’ve heard and seen lots of frogs, but have never seen the water disturbed by their symphony! As always, you did great!! A perfect illustration. Reminds me of a story a friend of mine told me years ago. He and a friend were in a boat in the channel at Cape Canaveral watching a space shuttle launch. The sound waves created waves in the water that almost capsized the boat. Yes, they were a little too close. That’s a great visual story, nice. Now take that and magnify by 100. You can see sound, and feel it. Alligators actually do something similar. And yes, the water has waves. Alligators issue a challenge this way, and can be answered by 10 – 20 others right back. Unnerving when you hear the answer come from a bush you just passed LOL. I love the immaculate portraiture of the second image but I am absolutely in awe of that first image. 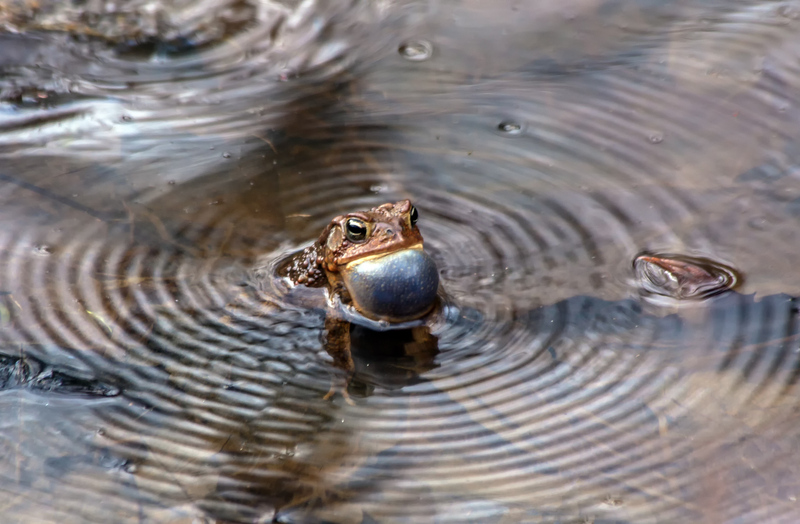 That is so incredibly cool to capture that behaviour in such a visible way and I also love the aesthetics of the composition with those concentric rings surrounding the toad plus the rings and bubbles echoing the rounded throat of the toad. Perfection! Wow. Thanks, Laura, for the glowing description of the image. I was so focused capturing the frog with its vocal sac inflated that I didn’t even notice the ripples until I reviewed my images on my computer. Nice shot. That’s something I’ve never seen. Thanks. 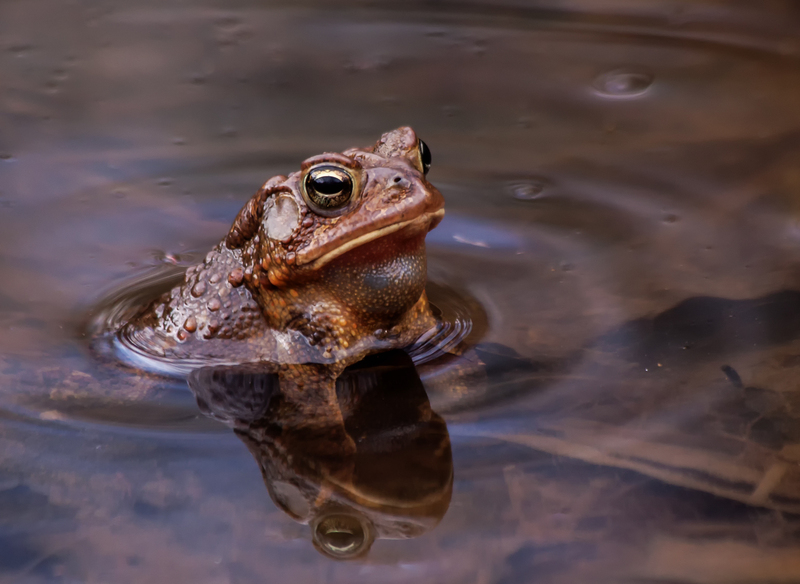 I suspect that most of the time the frogs and toads have their heads above the water when they croak, so they don’t make ripples. Who knows? I love capturing cool things like this. This is so cool, Mike! I’ve never noticed such a thing. I will have to look next chance I get. Thanks, Eliza. I have no idea how common it is, but it is certainly worth looking for. I didn’t even notice the circular pattern when I was taking the shots.